A Spring Valley man faces two felony and seven misdemeanor counts for striking a 38-year-old mother and her three children on the shoulder of Rt. 59 in Monsey yesterday. The mother and her daughters, ages nine and 13, as well as her 3-month-old son in a stroller were struck by a 1999 Toyota around 2:47 p.m. Monday, June 26, Ramapo PD said. The driver, Albert Gomez, 62, was arrested and charged with two counts of assault in the second Degree (Class D felony), two counts of assault in the third degree (Class A misdemeanor), four counts of reckless endangerment in the second degree (Class A misdemeanor) and one count of reckless driving (misdemeanor). The police investigation found that the family had been walking westbound on the westbound shoulder of Rt. 59 when they were struck by the car, also going westbound. All of the injured were treated at the scene by Hatzolah Ambulance. The three female were taken to Westchester Medical Center. The male infant was taken to Nyack Hospita and subsequently transferred to Westchester Medical Center. Police said Gomez was alone in his car at the time of the accident and he was not injured. The names of the victims are being withheld at this time. 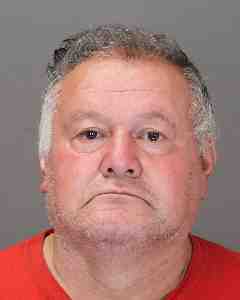 Gomez was arraigned in the Town of Ramapo Justice Court and remanded to the Rockland County Jail in lieu of $150,000 bail. Ramapo PD said the Ramapo Police Accident Investigation Unit continues to investigate the matter and additional charges may be pending. Police ask any witnesses to call Town of Ramapo Police at 845-357-2400.